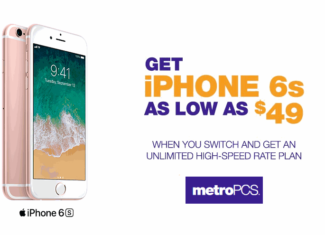 Back in June, Metro By T-Mobile ran a “Get An Amazing iPhone On Us” deal. That deal gave new customers a free iPhone SE. A few days ago that offer got updated. Now the iPhone 6s is also available for free. Metro also recently launched a couple of other promotions. MetroPCS officially launched the Alcatel 7 today. The listed retail price of the device is $179.99, however customers who port-in and subscribe to an unlimited data plan can get it for free. Customers who add a new line of service or qualify for an upgrade will get it for $129.99.